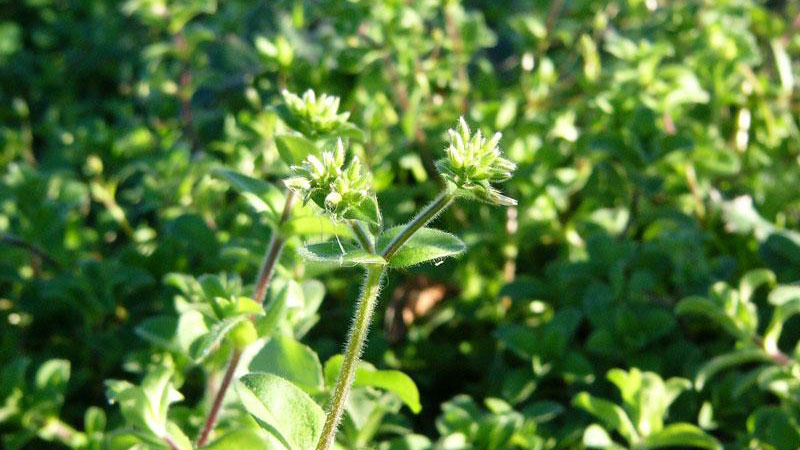 Mouseear chickweed acts as a winter annual in eastern North Carolina and as a perennial in the western part of the state, especially at higher elevations. 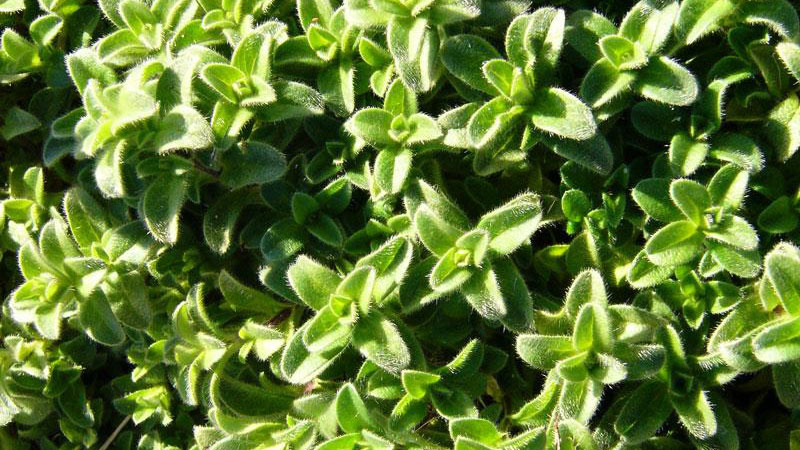 It has a vigorous prostrate growth habit. 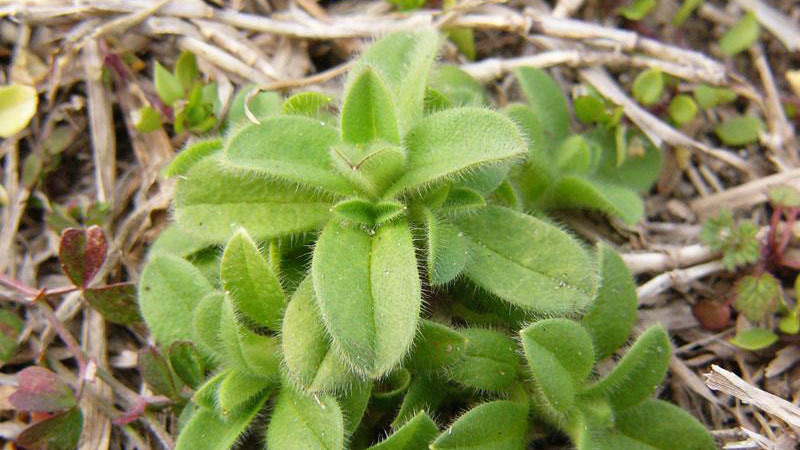 Hairy stems may creep along the ground and take root at nodes touching the soil. 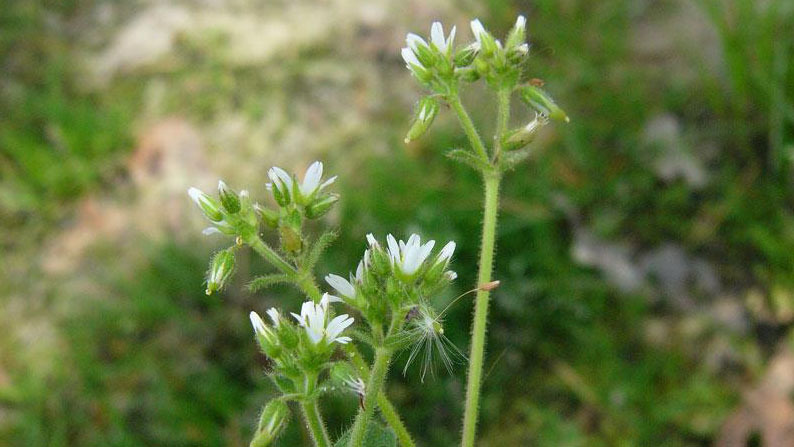 The small, white flowers have five slightly notched petals. 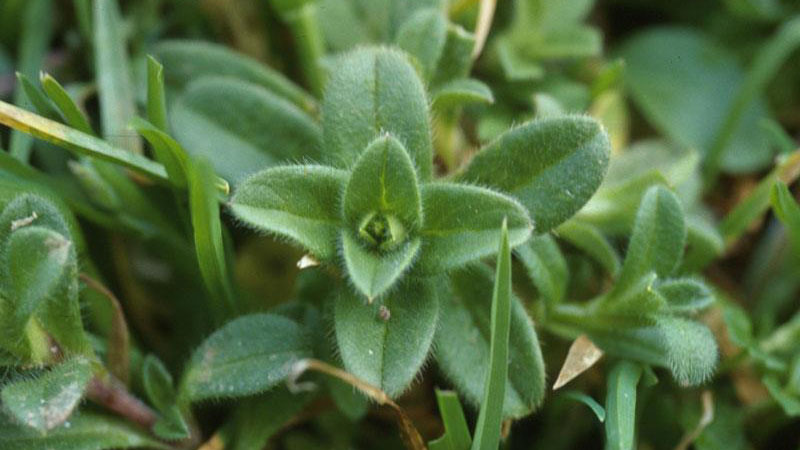 Mouseear chickweed is similar in growth habit (spreading) and appearance to common chickweed, but mouseear chickweed leaves are dark green or gray-green, and are covered with soft hairs. 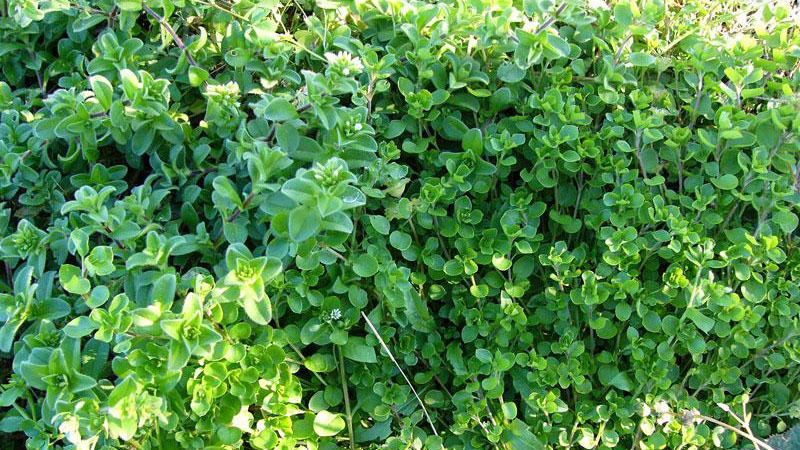 Chickweed will survive under close mowing, forming dense patches which crowd out the desirable turfgrass. 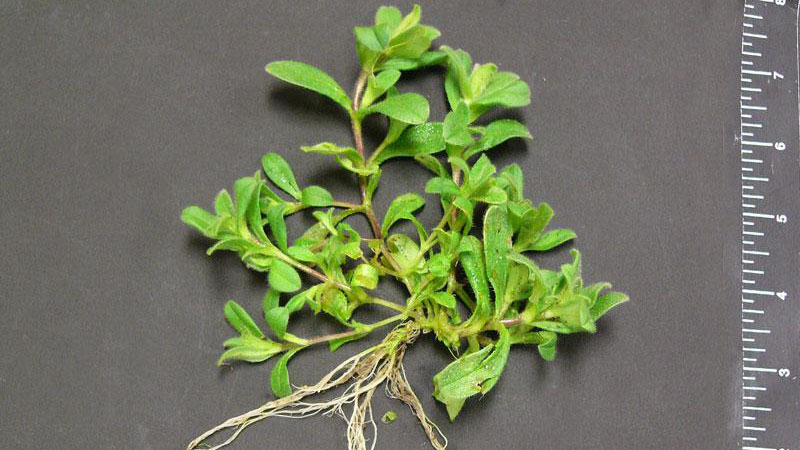 This weed quickly invades thin turf areas especially where there is good soil moisture. 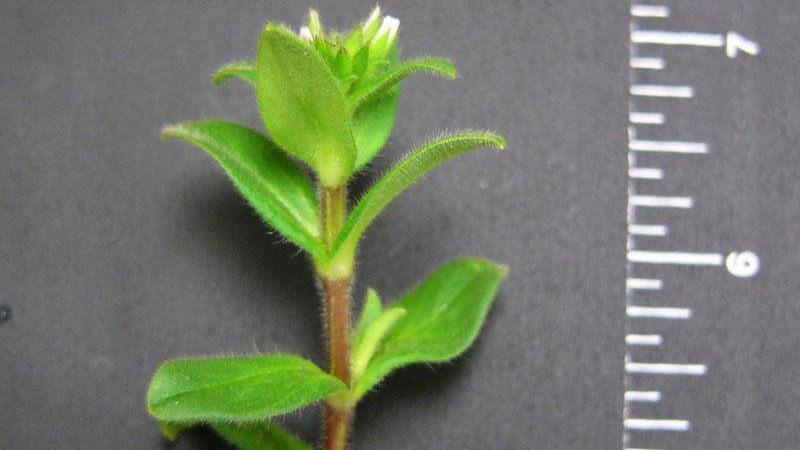 Shade and frequent watering encourage chickweed growth. Precaution and Remarks: Do not exceed 1 pint per acre on bentgrass, carpetgrass, buffalograss, and St. Augustinegrass. Apply to newly seeded grasses after the second mowing. Do not exceed 0.25 pint per acre on extended sensitve plant roots on sandy soils and 0.5 pint per acre on clay soils. Precaution and Remarks: Do not apply to home lawns. May be used on centipedegrass, bermudagrass, zoysiagrass, tall fescue, creeping red fescue, chewing fescue, Kentucky bluegrass, perennial ryegrass. 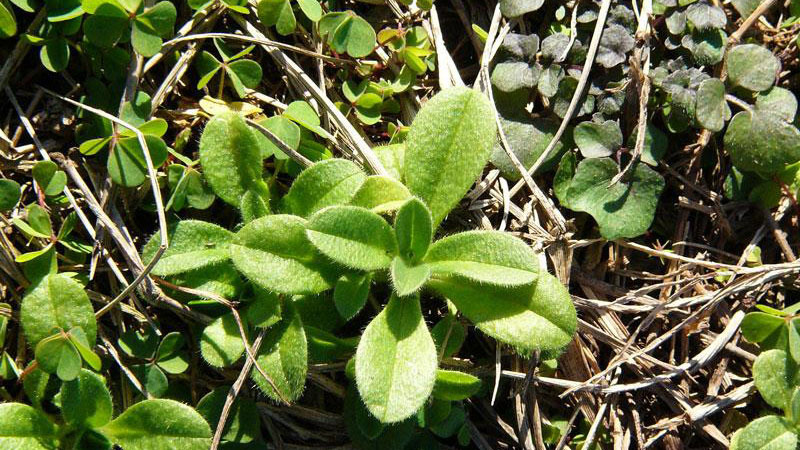 Repeat treatment may be necessary for prostrate spurge and wild violet. Quali-Pro formulation: maintain 0.5 inch height for warm season turf. Do not apply to bermudagrass sod farms. Wait 3 weeks to reseed. Figure 1. 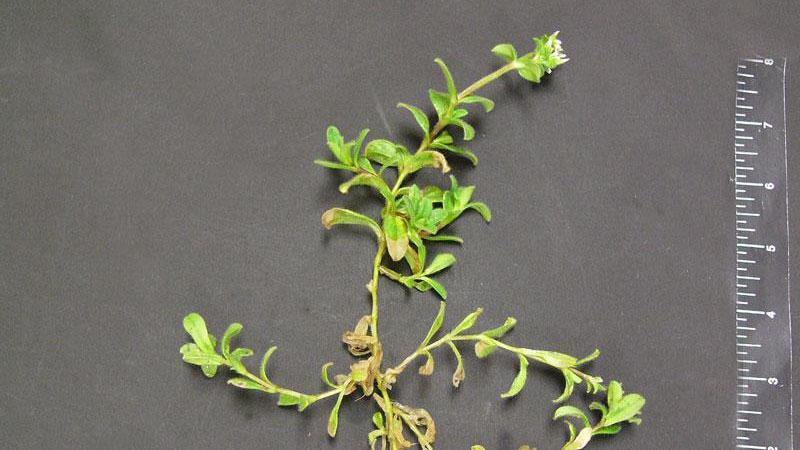 Mouseear chickweed growth habit. Figure 2. 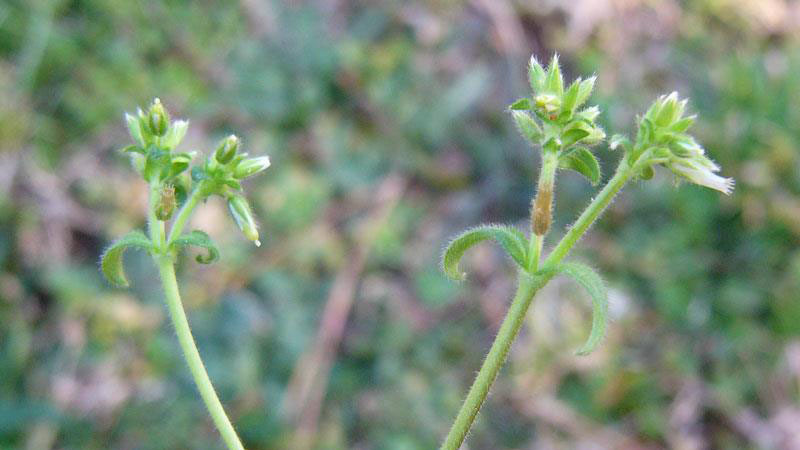 Mouseear chickweed growth habit. Figure 3. Mouseear chickweed growth habit. Figure 4. Mouseear chickweed growth habit. Figure 5. Mouseear chickweed growth habit. Figure 6. 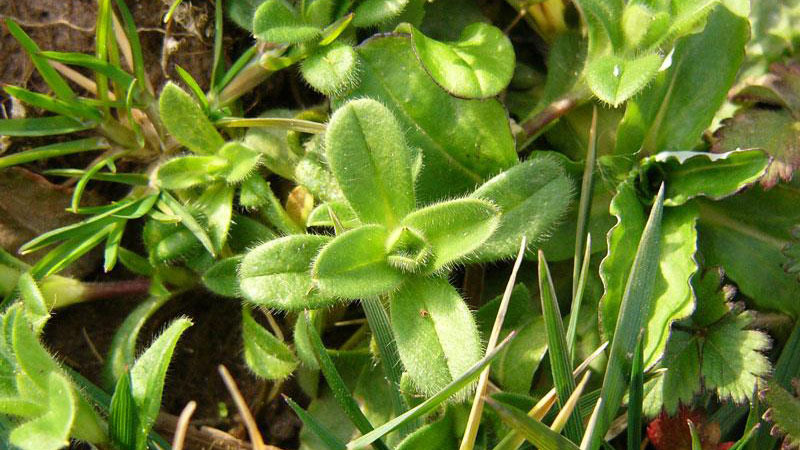 Mouseear chickweed growth habit. Figure 7. Mouseear chickweed growth habit. Figure 8. Mouseear chickweed growth habit. Figure 9. 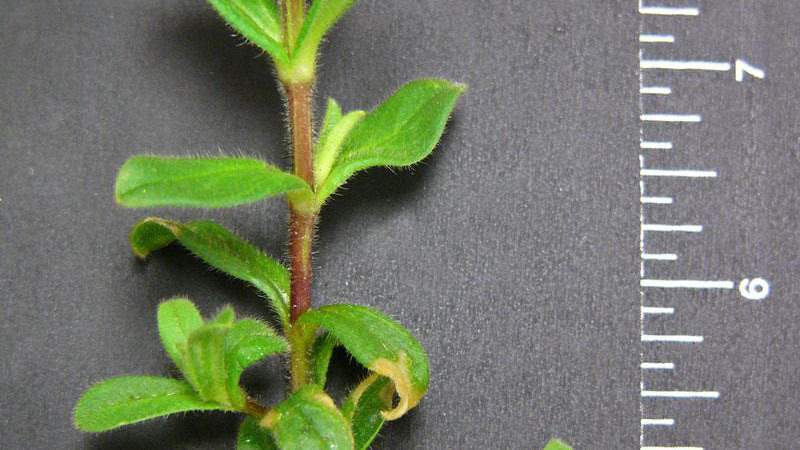 Mouseear chickweed leaf margin. Figure 10. 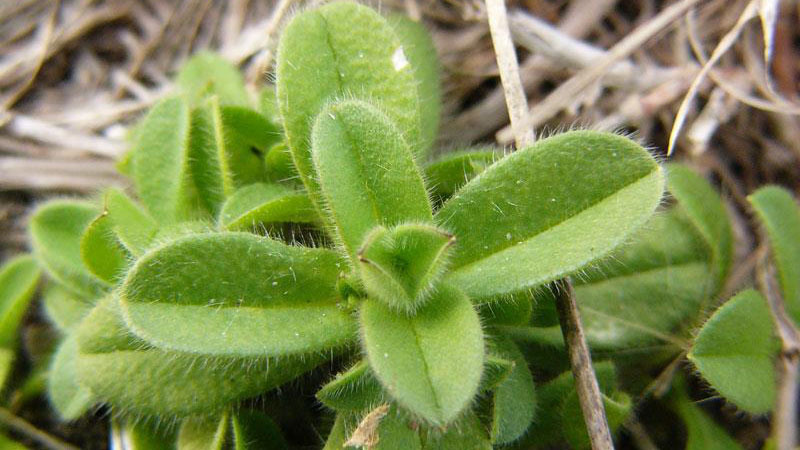 Mouseear chickweed leaf hairs. Figure 11. Mouseear chickweed leaf hairs. Figure 12. Mouseear chickweed leaf hairs. Figure 13. Mouseear chickweed leaf hairs. Figure 14. Mouseear chickweed leaf hairs. Figure 15. 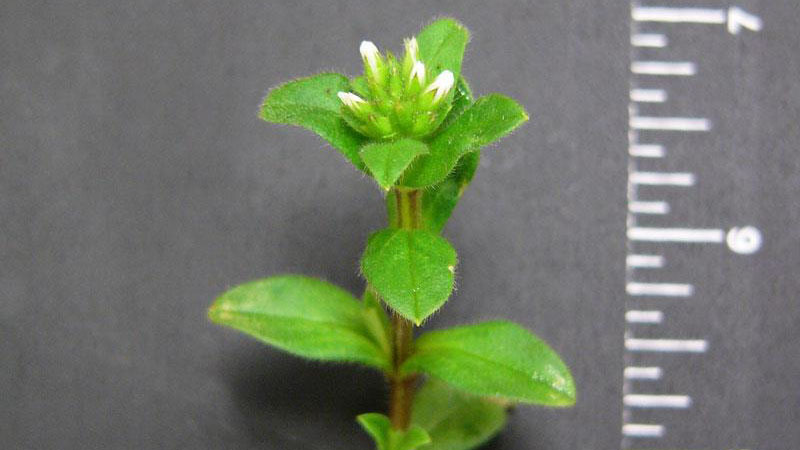 Mouseear chickweed flower color.